- Do not ask release date, you will never get answered. You can freely ask for developement news, that is ok, but not for release dates. - No we are not very close to release in few days, the progress is exellent but we've still lot of work and finetuning to do on the mod, the SP1 is quite a huge step forward on several domains (graphics, physics,...) and we want to make it well. - No we've never been contacted by Ferrari in order to remove any ferrari's from our mod. Hope that closes the discussions. 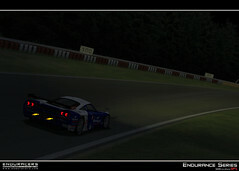 We hope to release some news and screenshots very soon. 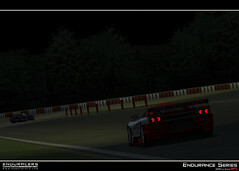 Can't wait to drive F430 GT2; this year sadly will be the last year for this marvellous race car, "storical enemy" of RSR. Next year will be the new 458 ( i read something about in an interview with Giuseppe Risi, chairman of Risi Competizione). So i'd like to revive all fights within these two cars. 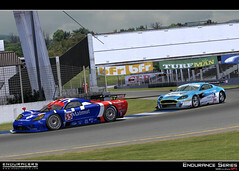 Please take your time, and do all you need; imho can be the best rFactor mod, and..i hope to see develop in rF2 too. 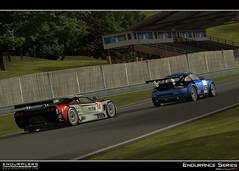 OT: have you read news regarding a possible 2011 Porsche LMP1 with kers? i don't like too much this technology, anyway will be a great car, i hope to see some great fights with diesel cars. A 458 you say, very intresting, il look that up, that is a car to keep an eye on. Can't wait for the update Mark, and im happy to hear that development is coming along well thumbs up as allways. ...the SP1 is quite a huge step forward on several domains (graphics, physics,...) and we want to make it well. 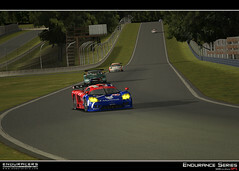 Are you talking about the new SP1 cars or about improving the currently available cars as well? It would be nice to polish a few things like the DBR9 smoothing issues on the bumper sides and around the fuel filler cap. Also there's something that nobody seem to have mentioned yet - the way the paint looks on cars. It's virtually impossible to make a silver livery that doesn't look like grey concrete in DX9, while in DX8 even white paint looks like silver. It would be nice if you try different reflections (not car_cube.dds but the GMT properties). 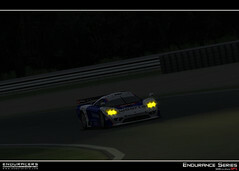 OT nice 12H edition yesterday. 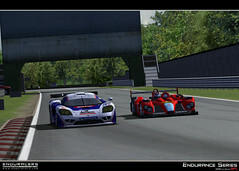 Nice fights in almost all classes (except LMP1, Peugeots are too much fasters). Otherwise it gets too cluttered, not saying this will happen though. why do you want that? Hardly anybody looks on that anyway, iv never heard of the site before. Just because you haven't heard of the site yet doesn't mean that others would not be interested, we use it all the time to compare lap times within leagues and so on, so it'd be great if SP1 would become more rF Rank friendly. Maybe you *have* heard of GPLRank which started it all off back in the grand prix legends days 10 years or so ago. yes, would be better. Actually on rFrank you can upload, for example, your gt2 times under "GT2" category (common as other mods with same category name). Would be for sure a nice addition for all guys (like me) who use rF rank site. You can find some "funny" laptimes, but..in most of time you can see if you're working well on setup, and what timelap can be reached. ok ok, cool it, news soon, just chill ok.
oh don't get me wrong, I wasn't trying to push anything home. Looking forward to the news you mention! im not part of the crew, but judging from Marc's previous posts, he say news soon. so i can only gess, some time soon there is going to be some sort of news. thanks really much!! looks great! and thanks for the Porsche update keep up the good work! 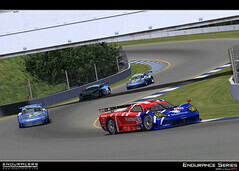 you said it, emence detail, thanks for the update Marc thumbs up. i can't wait to drive the Porsche rs spyder real nice. oh wich track is that by the way? 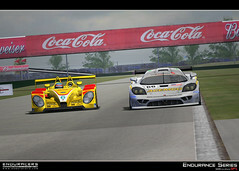 i wud like to test it ou, i know sebring and that little track thats with the megan trouphy trackpack. whats the middle two called? Thank you for those caps klo che. Much appreciated. ...I am praying the Peugeot 908 is next. for me its the Audi R10, the Kolles mostly, but it wud be intresting how you peeps made the F430, every other modder seem to make them too high and they look shoddy, but im sure you guys will do a great job. As they say in my league, if a race is worth doing, its worth doing it properly. The 908 & Audi are just stunning so far. You guys will not be dissapointed! !